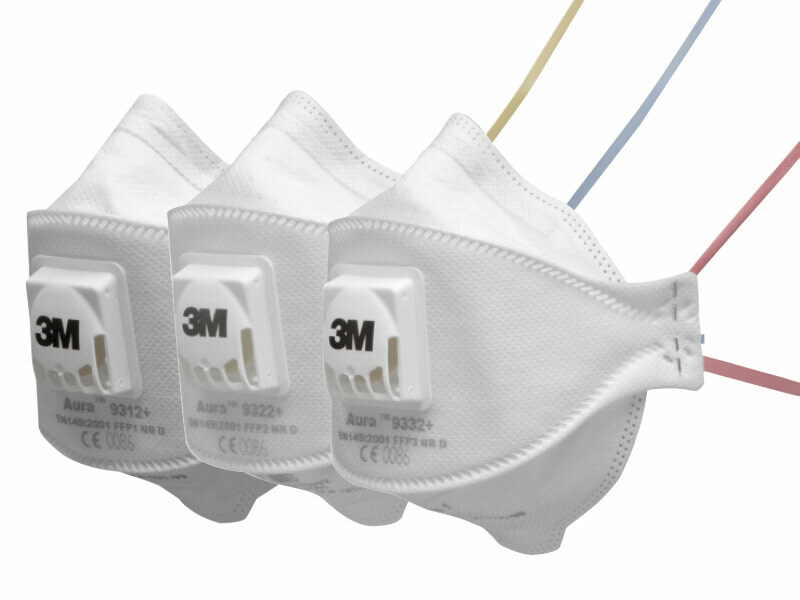 Introducing the 3M Aura Series disposable respirators. Features particulate filter material with advanced low breathing resistance filter technology. Gives effective filter performance whilst lowering resistance to breathing. Improved breathing ease and comfort. Effectively removes heat build up, providing a cooler and more comfortable wear. Removes exhaled air and minimises the risk of fogging eyewear. P1 - Valved mask suitable for chemical dust or dusty area. P2 - Valved mask suitable for dusts/mists. P3 Valved mask suitable for dusts, mists and fumes.